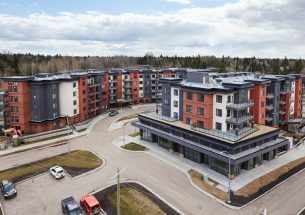 Amacon’s Grandin Mall redevelopment in St. Albert, Alberta has been an interesting project for BC Building Science due to the cold climate, limited construction season, and the challenges of coordinating an out-of-town project. Some building envelope components cannot be installed in cold weather without tarps and heating, so timing is critical to ensure a high standard of building envelope system installations while also minimizing the costs to the client. 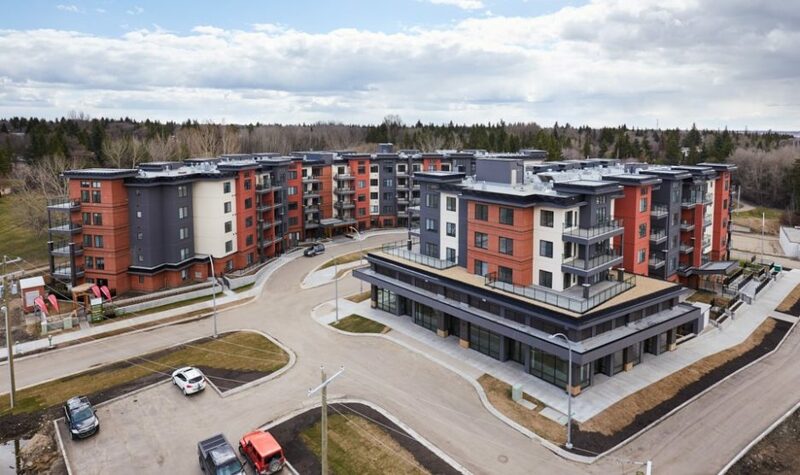 Despite some design and construction challenges, we were able to work with Amacon to successfully complete the project, which included the first two wood-frame buildings over five storeys with EIFS cladding in St. Albert.